Nylon brush to clean woods. 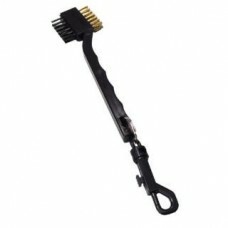 Dual bristle brush with coil cord for longer reach and more flexible use. 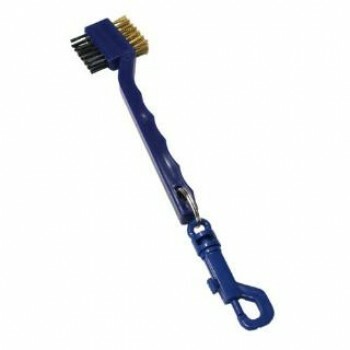 No need to unclip to use..
Keep your clubs looking brand new after every swing with the Softspikes Prosoft Golf Brush. With a c..